April is finally here and I couldn't be more excited. Although week one has high winds and bad weather in the forecast, there are many other factors that bode well for inshore fishing in Orange Beach this month. Actually, the rain we are going to get (especially to the north of Orange Beach) is going to help our Speckled Trout fishing. High salinity water is currently spread far and wide because of the lack of recent rainfall in our area. This allows the saltwater species that I target on my charters also to be spead far and wide. A good gully washer (as described by my Great Uncle Tal) is exactly what we need to push some Speckled Trout south. These fish are not fond of fresh water and will travel to avoid it.........come on rain! 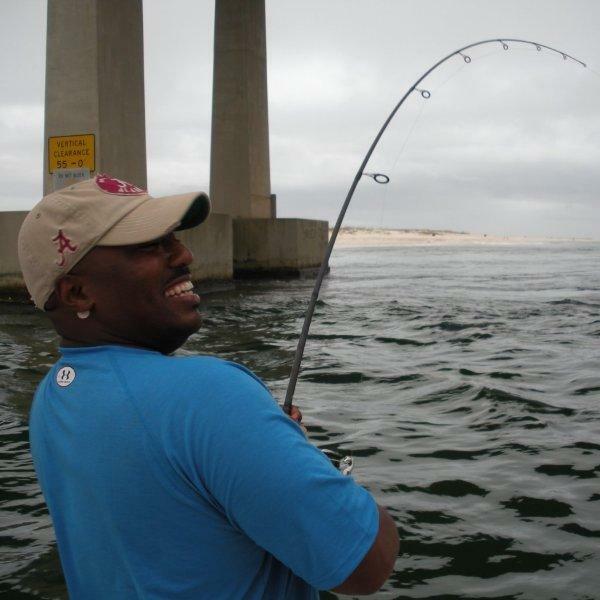 Redfishing in Orange Beach is going to heat up this month. There are some spots in Orange Beach where redfish will show up year after year in the month of April and after a quick look at the tide chart, I can just about set my watch according to when they will bite. They are that predictable. As much as I do appreciate a degree of uncertainty, when it comes to fishing, I also cherish a little certainty. I am looking forward to what this month will have to offer. April is definitely on of my "twelve favorite months to fish." As we approach the next full moon, Big Momma Trouts are going to be getting ready for a major spawning period and that means one thing......they will be feeding! To book your inshore fishing charter for 2011, visit the reservations page and send your request.